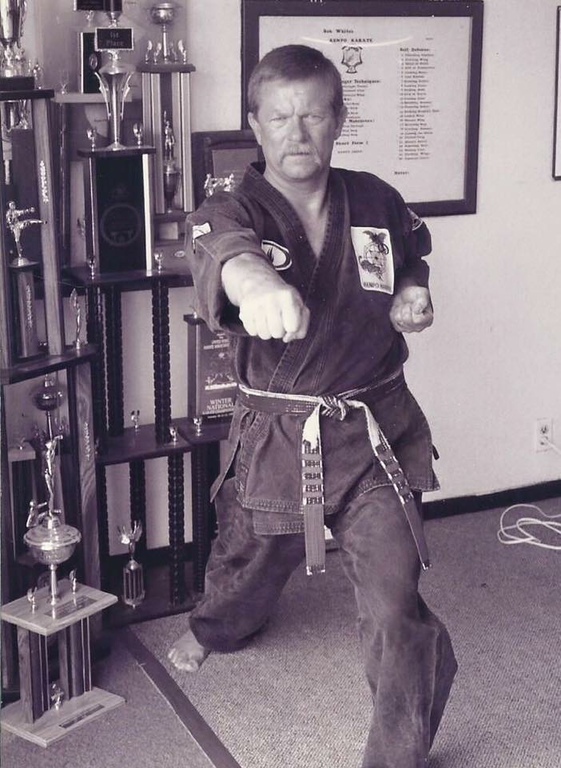 Passing up a professional baseball career at a young age, Master Bob White has been contributing to the art of American Kenpo for over fifty years. On the tournament circuit he won numerous state, national, and international fighting championships. Bob White fought on the National All Star Black Belt Team, which went undefeated in 1973 and 1974. As a teacher and coach, he has consistently turned out some of the world's finest karate fighters. 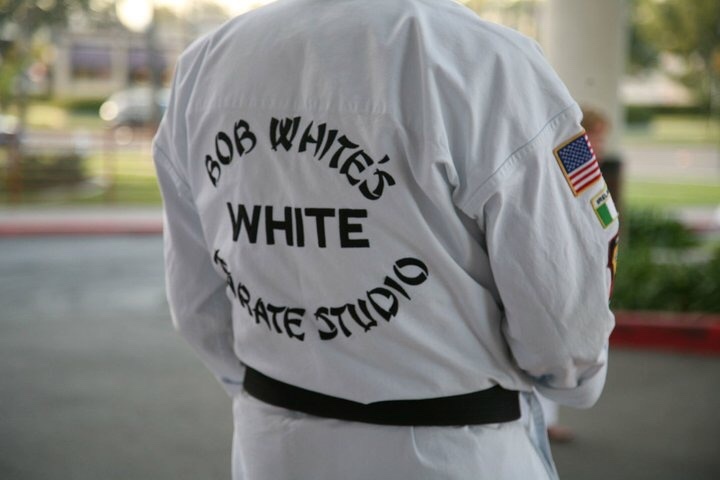 Over the past 40+ years, Bob White's Karate Studio has had many World Champion fighters and each year throughout the 1990s his students accounted for at least one of the Black Belt Grand Champions at the International Karate Championships. 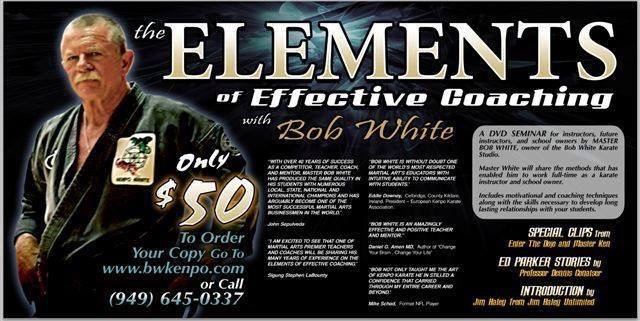 Bob White and his wife Barbara conduct seminars throughout the United States, South America, and Europe. 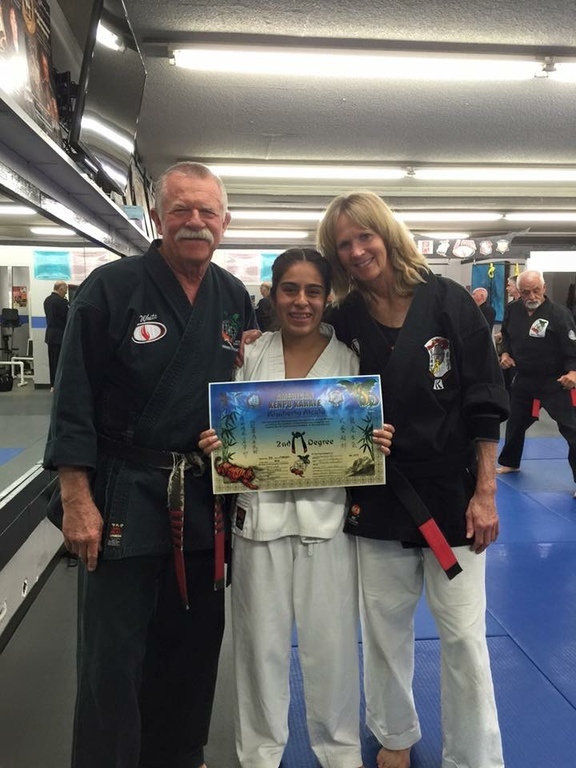 They are both professional instructors who enjoy sharing their Kenpo and being in service to their students. Bob White was involved in the original "Karate Kid" movie and appeared as a referee in the film. BWKS had over 50 students that appeared in the movie as tournament competitors. Mr. White was also involved in The Karate Kid part 3 and worked to promote the new “Karate Kid” version with Jackie Chan and Jaden Smith. Master White along with his wife Barbara and a great team from BWKS promote an annual karate tournament, The Bob White Invitational, that raises money for the Royal Family Kids. Royal Family Kids is an organization that provides a week long camp for abused and neglected children. The Bob White Invitational began in 2005, and to date, has raised hundreds of thousands of dollars for RFK. Not only have hundreds of children been helped through the tournament, but the Kenpo community throughout the world has gained an awareness of RFK, and a desire to become involved in this cause. 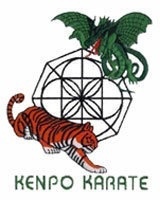 This involvement of the Kenpo community continues to grow, and contributions are coming in from all over the world. In the 1980’s Bob White was promoted to 7th Degree Black Belt by Senior Grand Master, Ed Parker. This was the highest rank that Ed Parker ever promoted. He was one of only a very few to earn that rank. 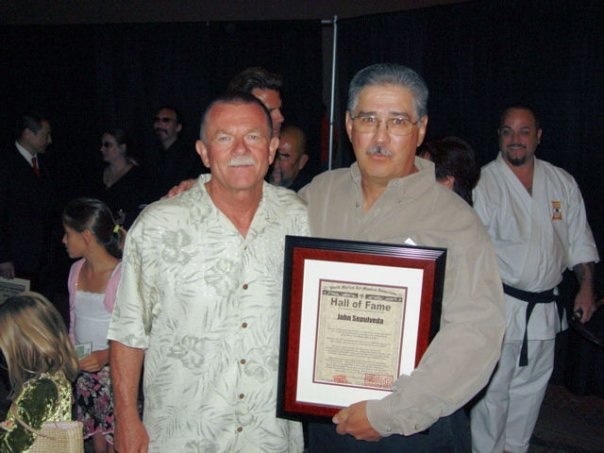 Master White has been inducted into many different Hall of Fame’s and recently he was the 2012 Keynote Speaker for the Master’s Hall of Fame in Southern California. 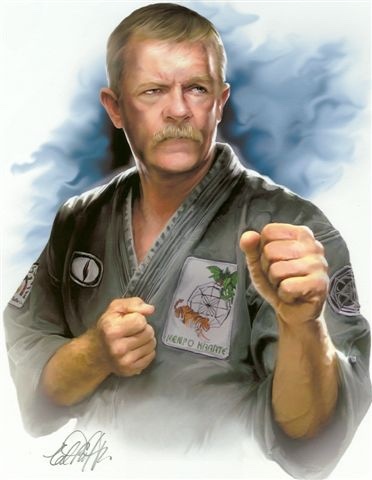 Bob White has been featured in various books including The Who’s Who in Martial Arts, The Journey, and most recently in The International Journey. He has also been interviewed on many television and radio shows. Besides Martial Arts, Bob enjoys game fishing, running, and is an avid tennis player. Bob, Barbara and their children live in Costa Mesa, California. Whatever rewards Bob White has achieved in his life, he owes to the grace of God and gives thanks to Him daily.